The Parish holds regular litter picks, normally twice a year in the Spring and Autumn. All the equipment such as protective gloves, pickers, sacks etc is provided and it is open to adults and children so it is a great way to make sure the area we live is tidy and safe and have an enjoyable morning with other residents. 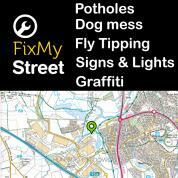 The more people who come along the better and the greater the area we can cover. With the boundary change occurring on 1st April 2019, the Parish will be too large to hold a single litter pick across the whole Parish as we do not have enough equipment or Councillors to help out. 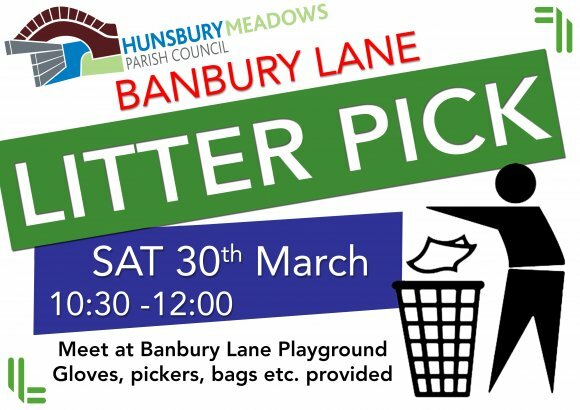 We will be holding the usual litter pick for Banbury Lane and surrounding areas on Saturday 30th March. 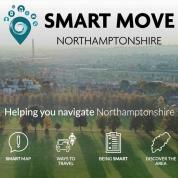 Could all volunteers please meet up in the children's playground on Banbury Lane at 10.30 am.